It may seem as if it is a long way out, but SDCC and the Nerd HQ are rapidly approaching. 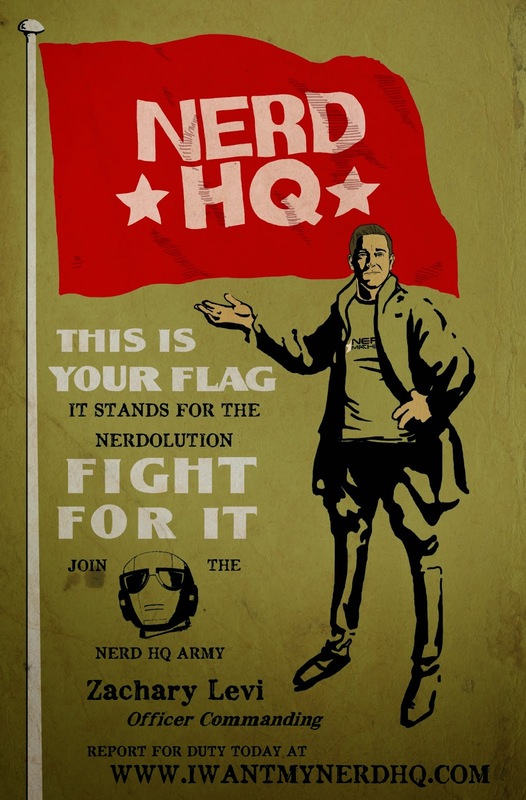 The Nerd HQ is reaching out to its nerd army to provide funding of what is an increasingly impressive event. You can give as I have at www.iwantmynerdhq.com and make SDCC more inclusive. You don't need a badge, a Comic Con ID, or jump through any hoops to attend the Nerd HQ. On top of that, all of the proceeds go to charity! Every dollar helps and no donation is too small. I shall step down from my soap box and move on to this week's books! 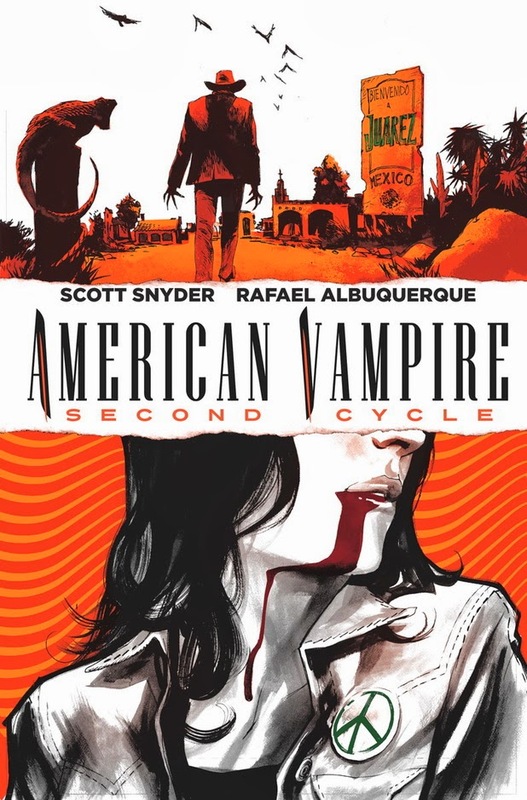 American Vampire: Second Cycle #1 - What a joy it is to revisit the world that Scott Snyder and Rafael Albuquerque have created. I was a fan of the original series, but ended up being sidetracked by other books and shiny things and never was able to rejoin this franchise. Thankfully, the duo took a break from the series and have created a new leaping on point. What is a little frustrating is that now I want to go back and read everything that has happened to Skinner Sweet and Pearl Jones. Snyder and Albuquerque deliver an action packed issue that updates fans, or introduces fans, to what Skinner and Pearl are currently up to. I am most intrigued by the halfway house that Pearl has set up for lost vampires, but also worried about the new terror that is known as the "Gray Trader". Not sure if that is who Skinner is dealing with, but he seems like a formidable opponent. So happy to be back in this universe. 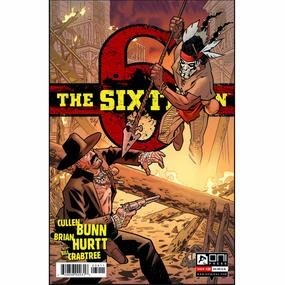 The Sixth Gun #39 - The battle of Brimstone reaches its epic conclusion in the latest issue of Cullen Bunn's epic horror/western. One thing I loved with this week's issue is that I am reminded how powerful the fifth gun is and why the widow Hume was such a powerful foe. Drake and company still seek out what may be the most difficult gun to obtain. This series is leading up to an amazing conclusion and I am happy that I have been along for the ride. It is somewhat embarrassing to admit that my older brother is the one who introduced me to this amazing series. 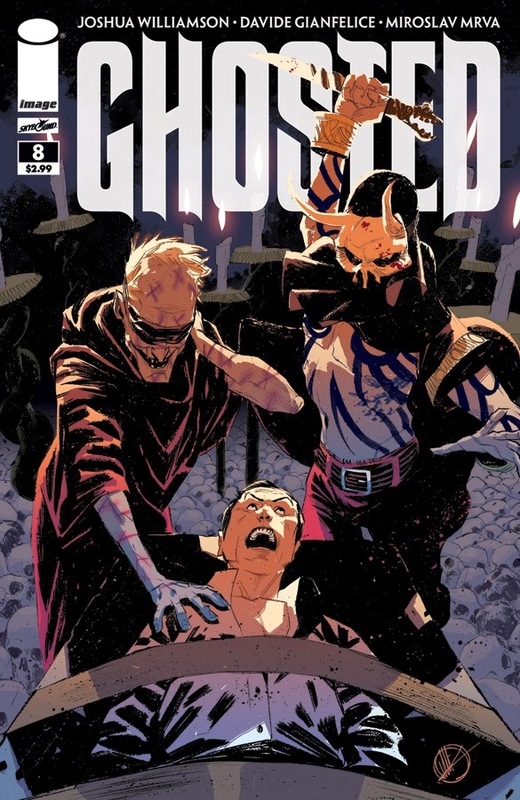 Ghosted #8 - Jackson and his rag tag group of ghost thieves continue their quest to rescue Nina. Anderson continues to haunt Jackson and he continues to seek his release from this endless life and attain peace at last. We learn in this bungling attempt to rescue Nina, that, in addition to running a brothel full of possessed women, this group is using the possessed to write books akin to the Necronomicon. I don't want to divulge too much, but Joshua Williamson sure delivers a fun ride. This series is a sleeper that you should jump on early so you can claim you were a fan before it was cool. Hipster respect to Ghosted. Daredevil #1 - Mark Waid has moved Daredevil from Hell's Kitchen in New York all the way across the USA to San Francisco. Part of Marvel Now!, Daredevil #1 is a logical jumping on point that I highly recommend. Waid does a nice job introducing some of the new situations that Daredevil encounters in a city that is vastly different than New York. This issue was a lot of fun and serves as a nice palette cleanser for this week's stack.